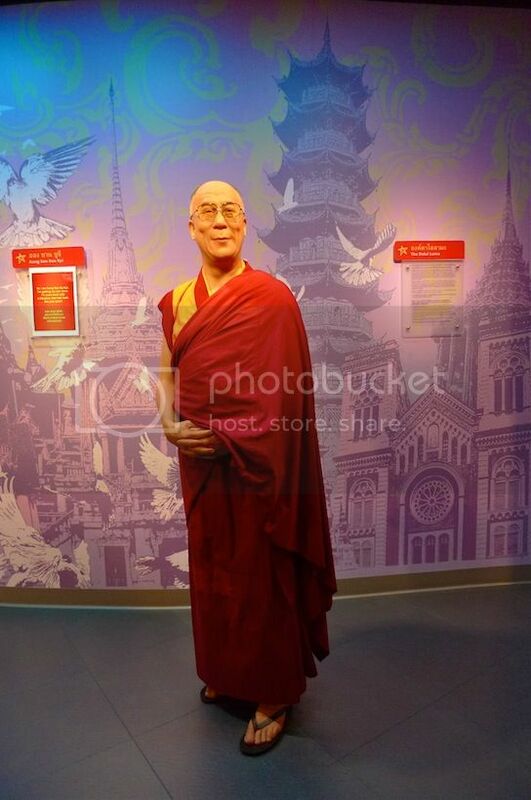 When I visited Bangkok in November 2010, I discovered that the world famous Madame Tussauds wax museum was about to open its 10th outlet there. 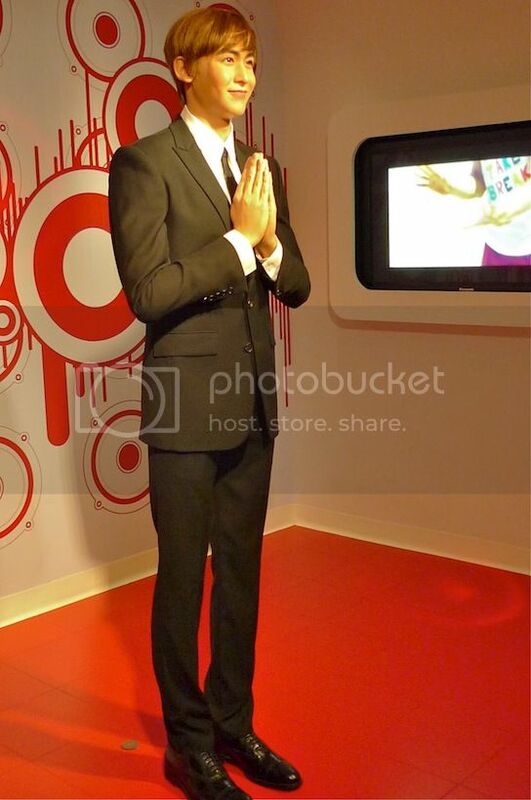 So when I made a trip to Bangkok again last January, I made it a point to visit this wax museum although I have visited Madame Tussauds in Hong Kong a year earlier. After we were done with the lunch and shopping at Terminal 21 shopping mall in Sukhumvit, my friend and I took the BTS Skytrain from Asok Station to Siam Station. 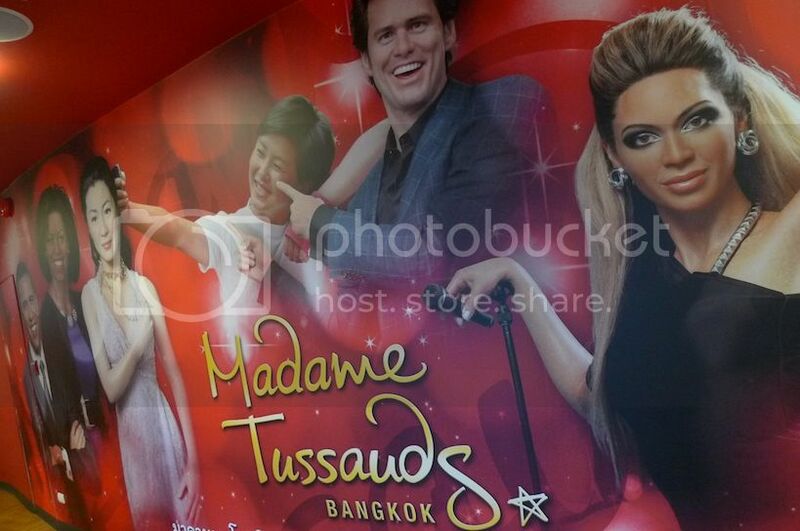 Located on the 6th floor of Siam Discovery, Madame Tussauds Bangkok is a mere 5 minutes walk from Siam Station. 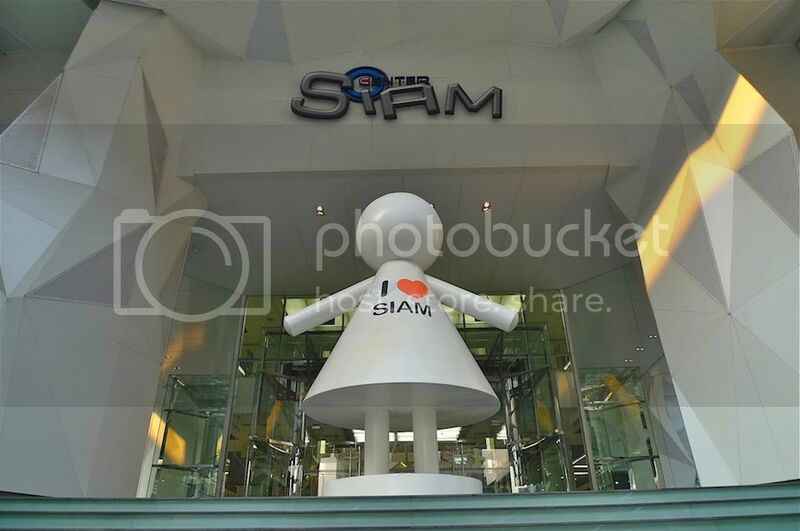 However, after alighting from the Skytrain at Siam Station, we did not immediately walk over to Siam Discovery. Instead we did some window shopping at Siam Center, which is just next to Siam Discovery. 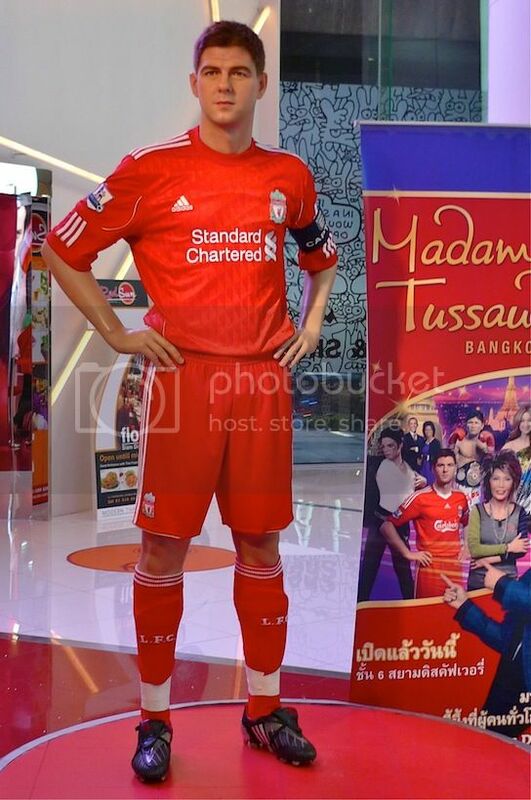 It so happened that we bumped into a ticket counter selling Madame Tussauds tickets in Siam Center. The person in charge told us we can buy the tickets there which was priced at 800 baht per ticket. As with most things in Bangkok, I wondered if we could bargain for cheaper prices so I pretended to be shocked at the price and told the guy that my friend had told me the ticket price was 300 baht. The guy said that was impossible and then offered to sell us the ticket at 20 percent discount, which is 640 baht. We of course grabbed it without hesitation. LOL! Later, I found out that if you book the tickets online, you could actually get the tickets at half price! Oh well, I guess 20 percent discount is better than nothing! Haha! From Siam Center, we walked over to Siam Discovery next door. 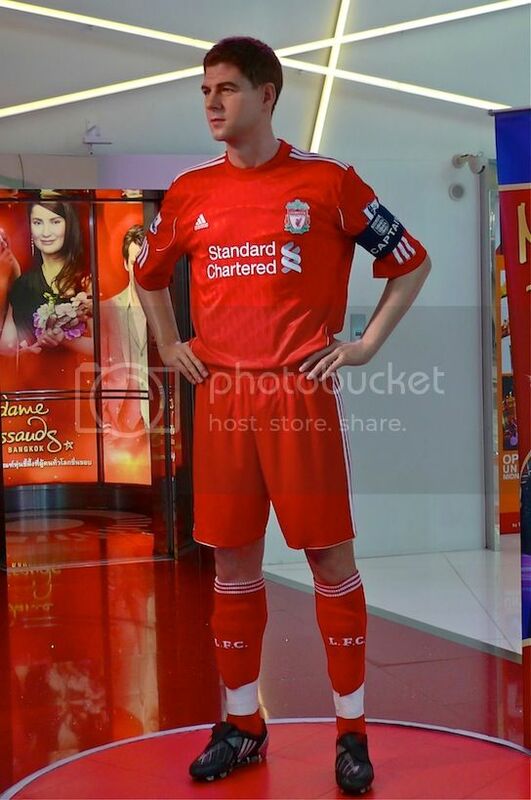 At the ground floor, we were greeted with a wax figure of Steven Gerrard, the Liverpool footballer! Are you a fan of Steven Gerrard? 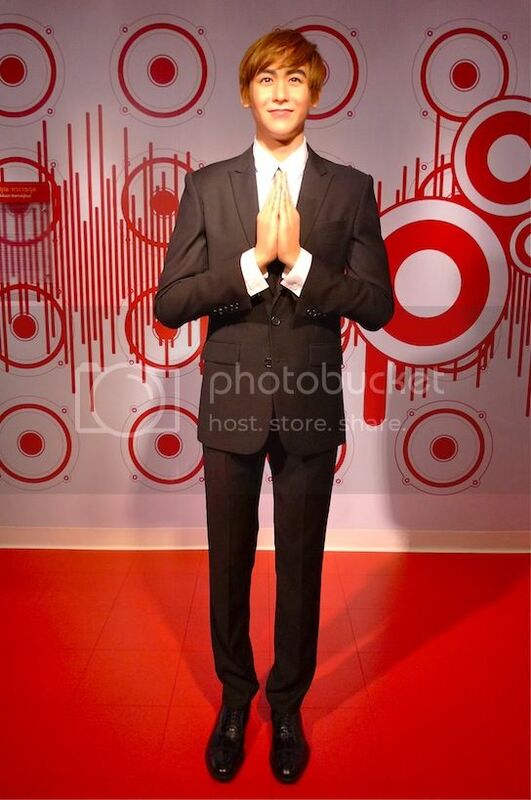 I must say Madame Tussauds did a fine job with him! There was this guy who was such a fan that he asked me to take a few shots of him and Steven together at different angles! LOL! We were directed up the lift to the 6th floor. When we came out from the lift, we walked along a passageway where I saw this on the wall. OK, so I would be expecting to see Beyonce at least, haha! Bangkok seemed to take security quite seriously as my backpack was opened and thoroughly checked before we were allowed to enter Madame Tussauds. 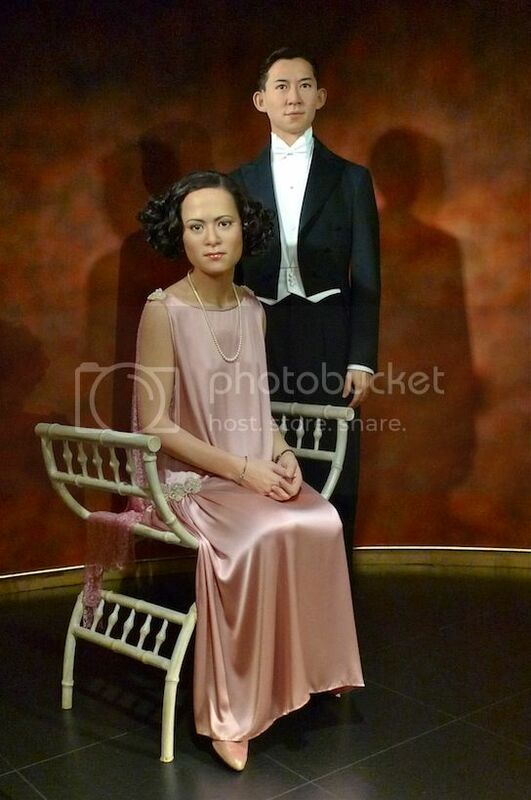 We were each given a booklet and a 200 baht voucher which can be exchanged for a professionally taken photo with a one of the wax figures. 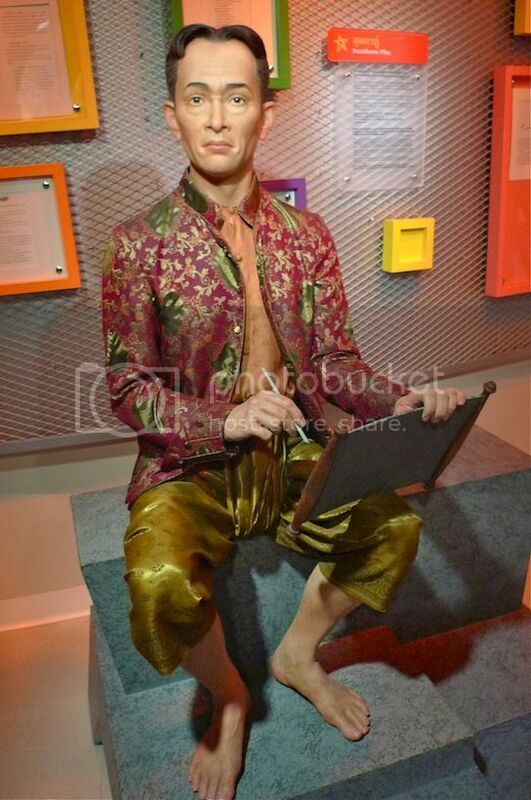 The first wax figures were that of Thailand's royalty. This is not surprising considering the Thai people's respect and loyalty to the monarchy. That's HRH Prince Mahitala Thibed Adulyadej Vikrom Phra Baroma Rajajanok (phew! hope I got his name correct!) standing beside HRH Princess Srinagarindra. Here, visitors can learn about the life of the Royal family and also the history of the Chakri Dynasty using the interactive display. 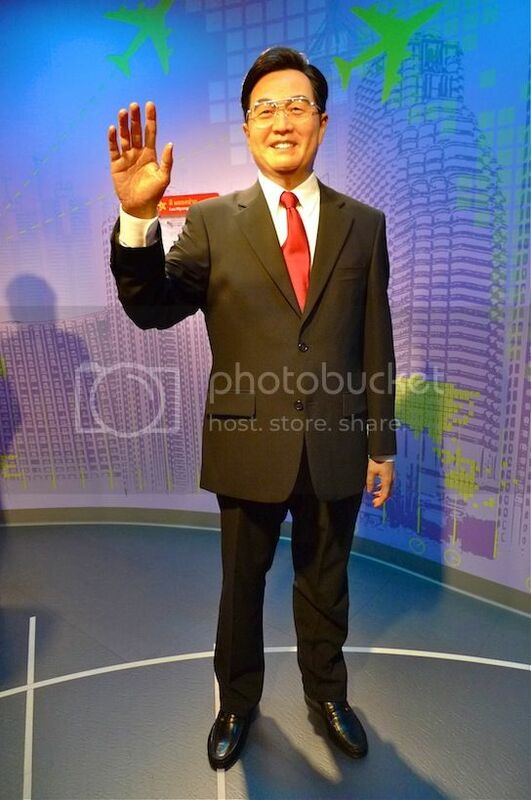 Next, were wax figures of world leaders and politicians, starting with Thailand's third Prime Minister, Pibulsonggram. No prize for guessing who this is! 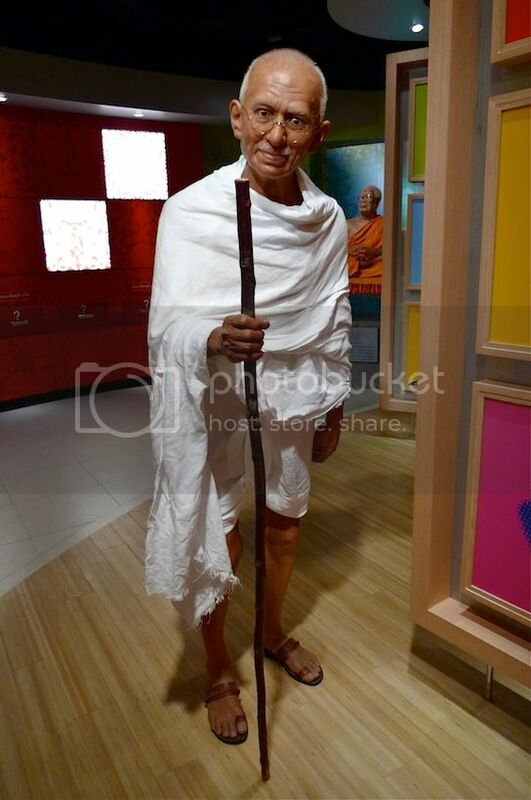 Yes, he's Mahatma Gandhi of India. Seni Pramoj, the 6th Prime Minister of Thailand. He first became Prime Minister in 1945, on the day he returned to Bangkok following World War II. A politician in the Democrat party, Seni was Prime Minister for three terms. Mao Zedong or commonly known as Chairman Mao, leader of the Chinese Revolution. 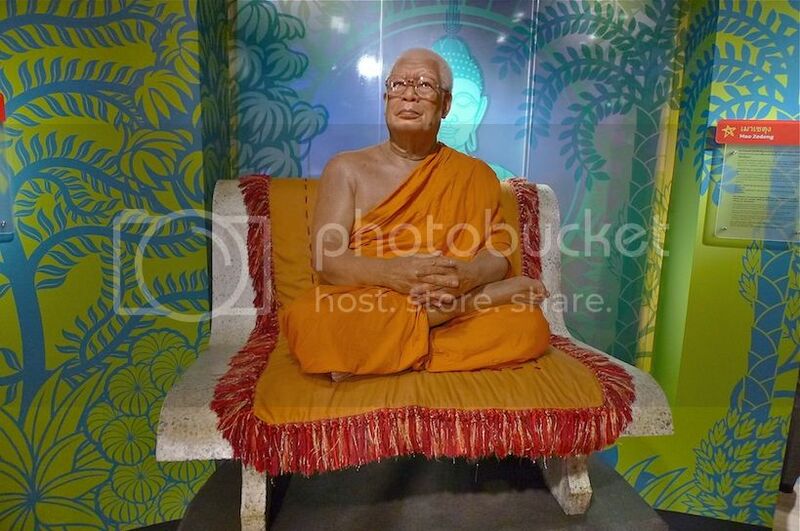 Buddhadasa Bhikkhu is a Thai-born influential philosopher who is also considered a highly respected Thai Buddhist monk worldwide. Wow! 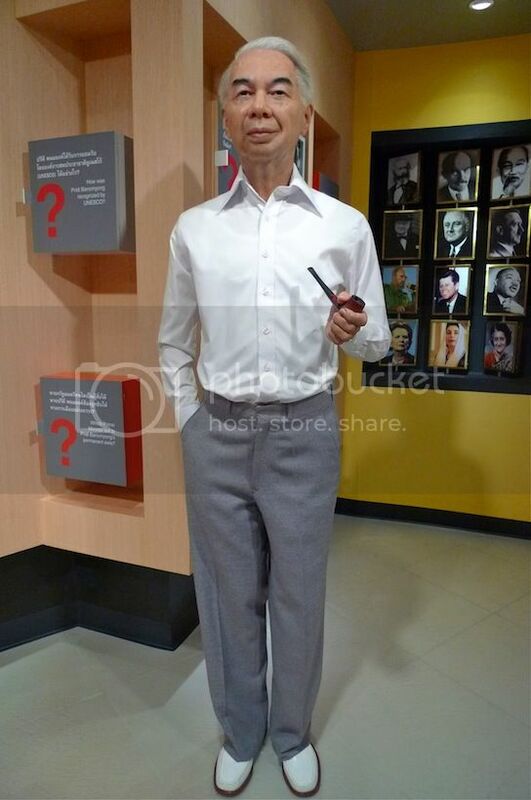 Our very own Dr M (Mahathir bin Mohamad), Malaysia's 4th Prime Minister! 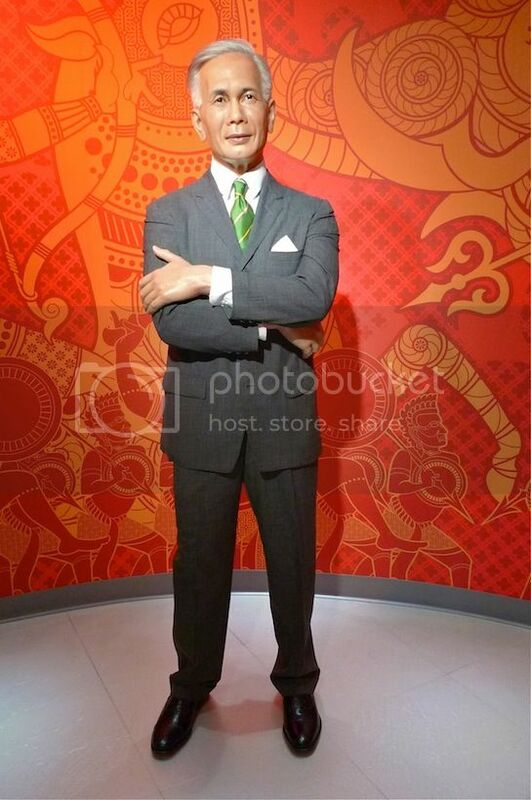 I think Madame Tussauds should open an outlet in Malaysia featuring our very own politicians and celebrities! 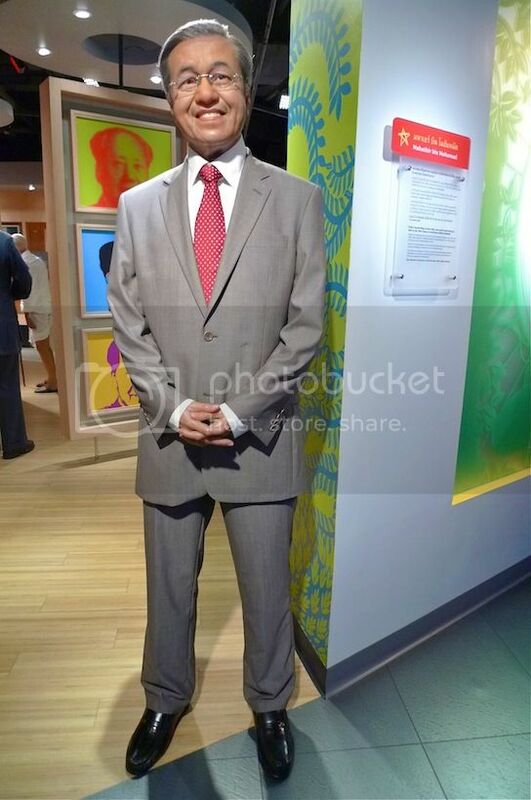 Would be nice to see wax figures of Anwar Ibrahim, singer Siti Nurhaliza, actress Carmen Soo, squash champ Nicol David, AirAsia's Tony Fernandes and maybe the chairperson of Bersih, Ambiga Sreenevasan. LOL! Princess Diana of Wales, looking good! 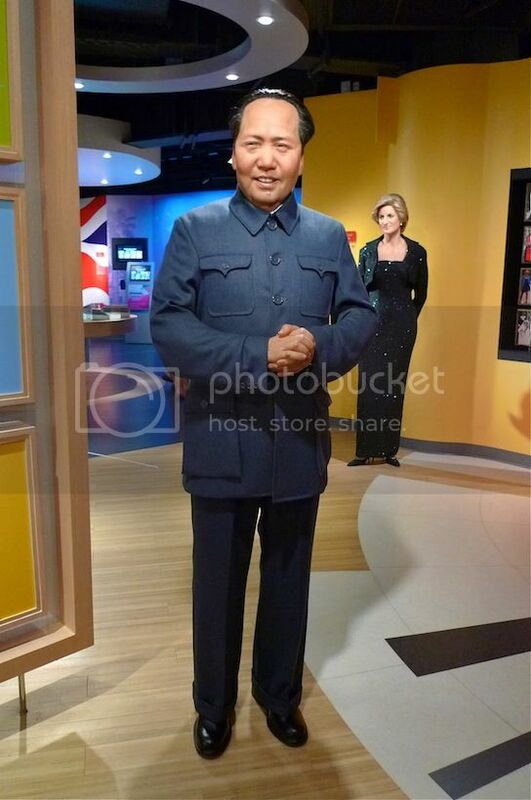 Hu Jintao, the current leader of People's Republic Of China, and possibly the world's most powerful man. Lee Hsien Loong, the current Prime Minister of Singapore. 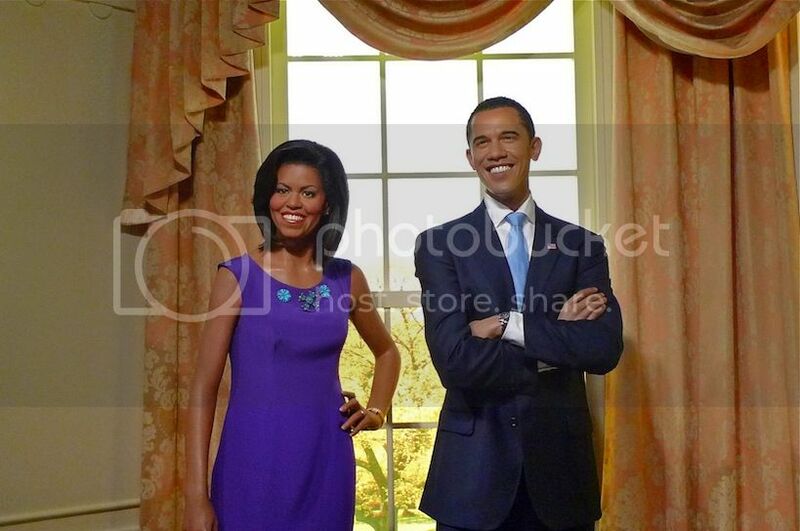 USA President Barack Obama and wife Michelle. 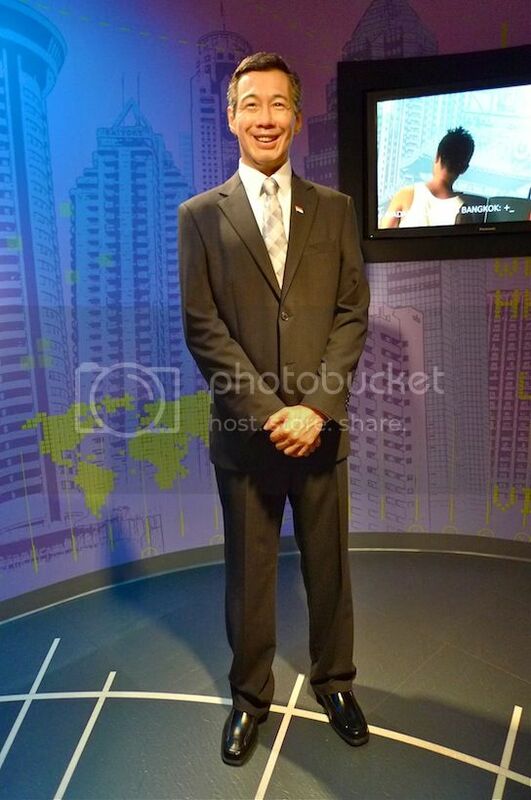 I heard that President Obama is so popular he is featured in all Madame Tussauds museums worldwide. 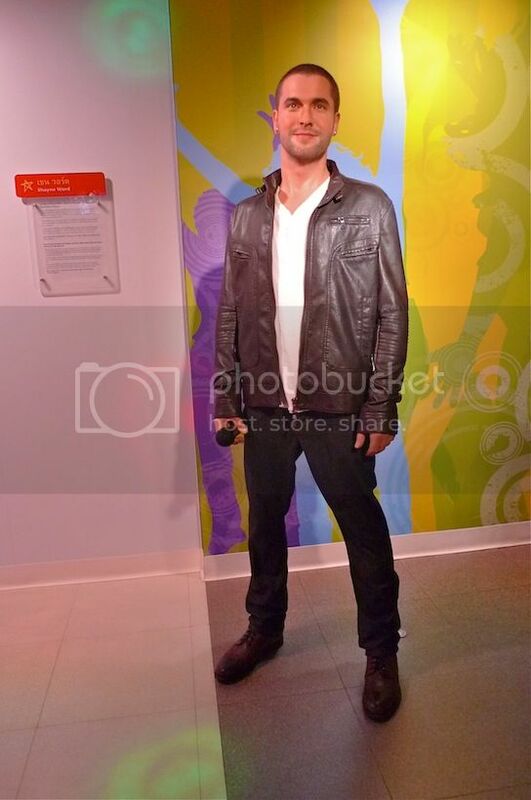 Next, were wax figures from the Arts and Science. First up, Sunthorn Phu, Thailand's best known royal poet. 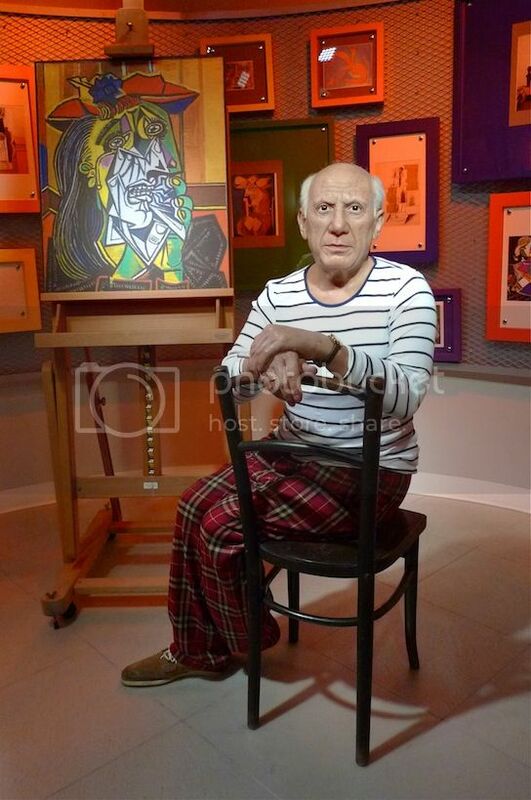 Pablo Picasso, the famous Spanish painter, draughtsman and sculptor. Dr. Porntip Rojanasunan, the famous Thai forensic pathologist with her unorthodox punk-rock hair dyed purplish red, eccentric clothing, glittery eye make-up and platform shoes. I was actually thrilled to see her although she looked younger than the real person. 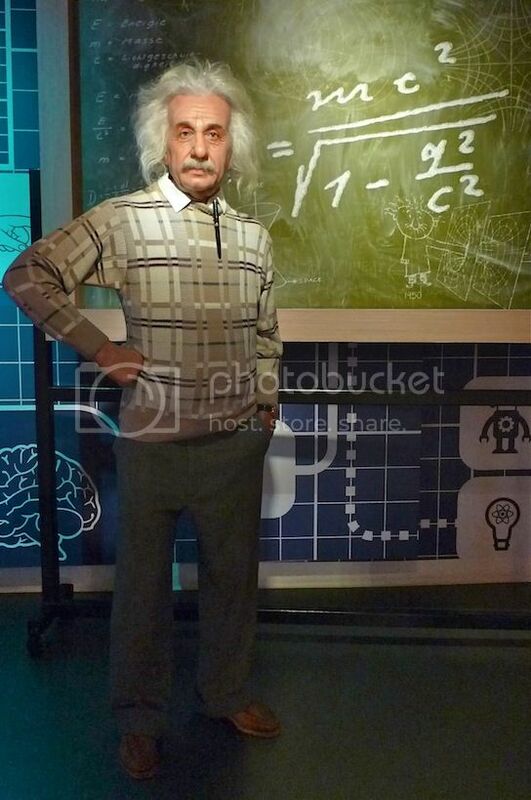 Albert Einstein, the German theoretical physicist and genius, who needs no introduction. 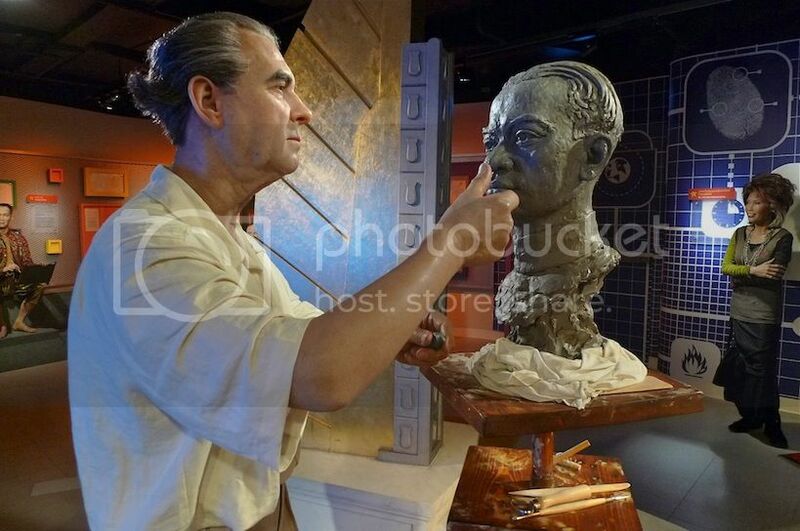 Silpa Bhirasri, known as the 'Father of Modern Art' in Thailand. Born in Italy, Silpa went to Thailand to train Thai artists and craftsmen, and created a profound impact on the development of Thai art. He created 18 monuments in Thailand, which include the Democracy Monument, Victory Monument, and the statue of King Rama I at Memorial Bridge. 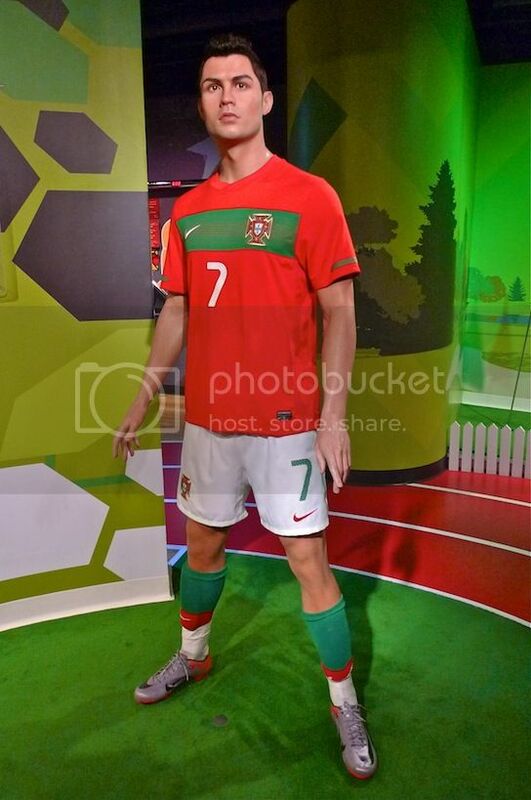 Next, were wax figures of sports personalities. Here's Christiano Ronaldo, the most expensive footballer in history who moved from Manchester United to Real Madrid in a transfer worth 80 million pounds! 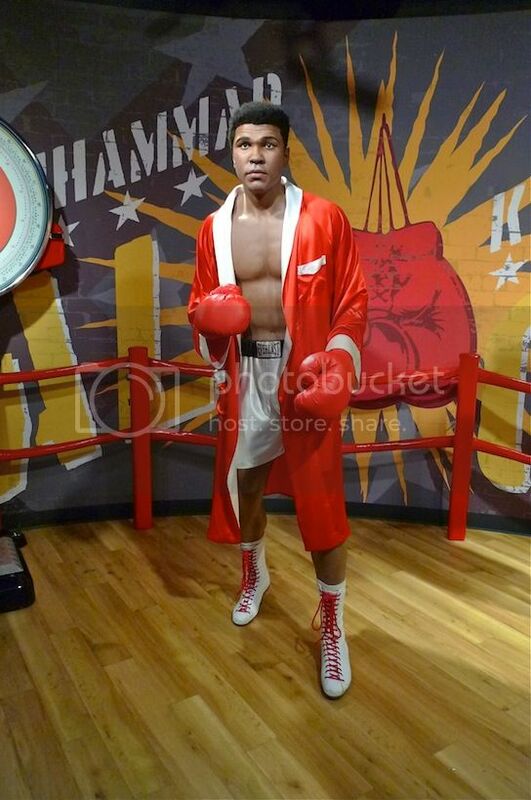 Famous American boxer Muhamad Ali. Khaosai Galaxy, a former professional Thai super flyweight boxer, Muay Thai kickboxer and member of the International Boxing Hall of Fame. 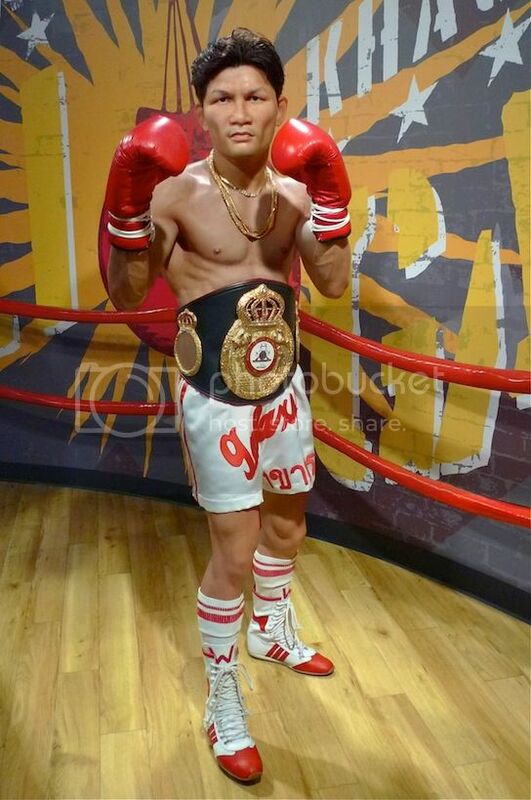 He's widely considered as one of the greatest boxing champions of all time. 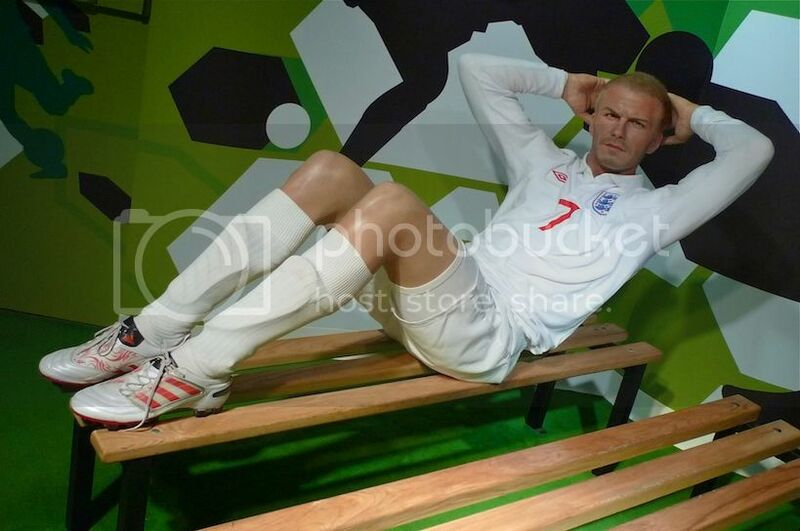 David Beckham, the professional footballer from England who first made it big with Manchester United, and who is now still as famous as ever. 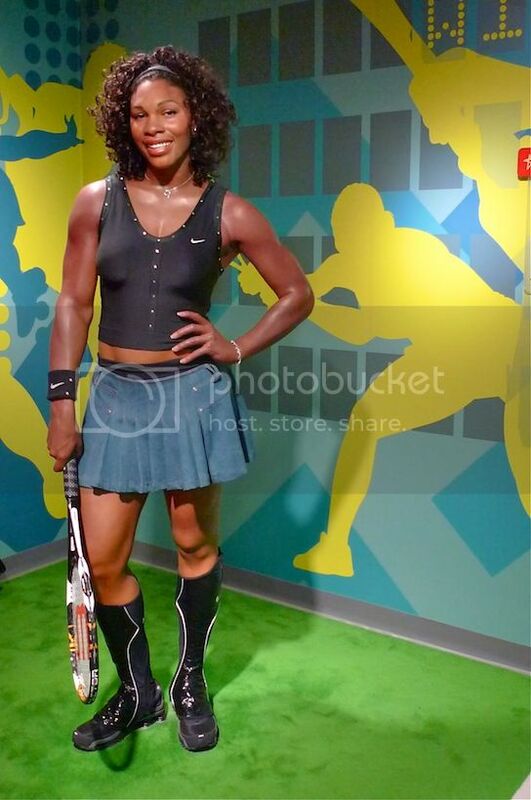 Serena Williams, the American professional tennis player who was ranked No.1 in singles on five separate occasions. 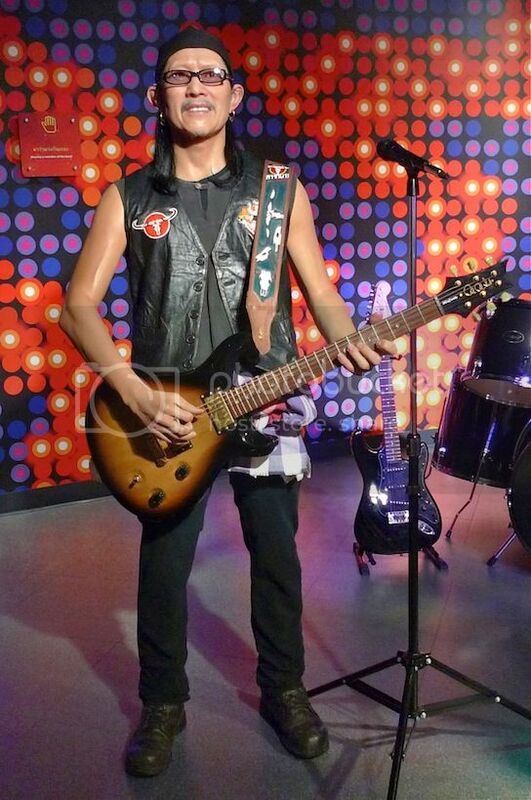 Wax figures of famous singers and music stars were next. First, there's Shayne Ward, the Irish-English pop singer who was the winner of the second season of The X Factor. Nichkhun Horvejkul, the Thai American singer and rapper in 2PM, currently one of the most popular boy bands in South Korea. If you are a fan and female, you will surely want to take a photo of yourself with him. So for all the fans of Nichkhun, here's another shot of him LOL! I have to admit I have no idea who Ad Carabao is. Thanks to the information provided, I learnt that he's the lead singer of Carabao, a rock band formed in the Philippines by two Thai students. Carabao's songs often tackle social and political issues, and taking on the causes of the ordinary Thai people, hence their popularity in Thailand. But Ad Carabao sure reminds me of the rock guitarist Santana! 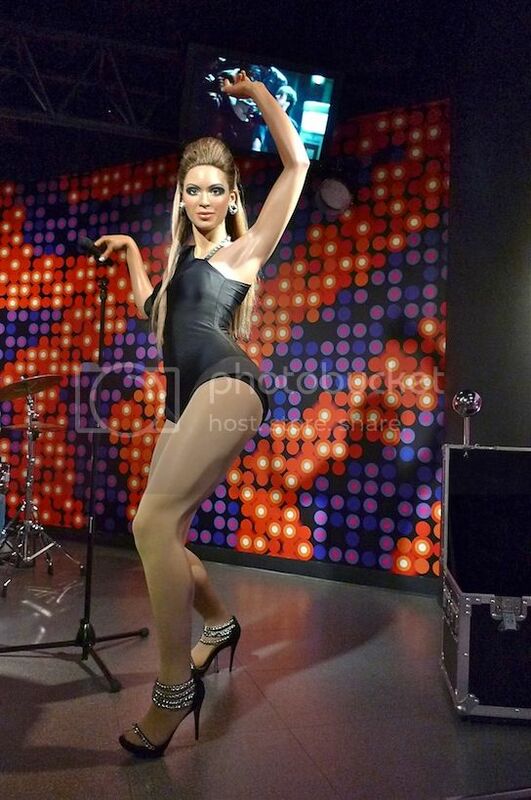 Beyonce needs no further introduction but I did not quite like her wax figure. What about you? Pumpuang Duangjan drew a blank from me as I was not familiar with this Thai singer. 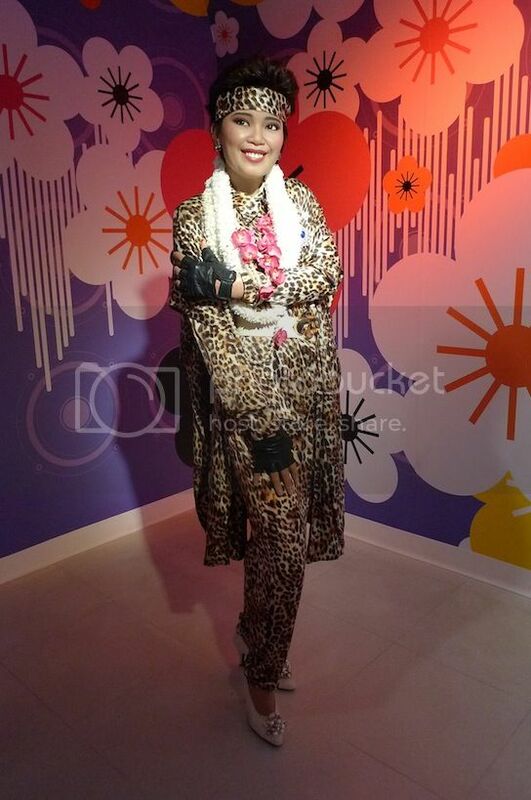 Checking on her biography, I learnt that she's actually a very famous megastar in Thailand who pioneered the electronic luk thung, a type of Thai folk music. I had the chance to listen to her songs as they were available for anyone interested to listen via a headphone. Tata Young, famous Thai singer, model and dancer whose first album sold one million copies within 5 months! 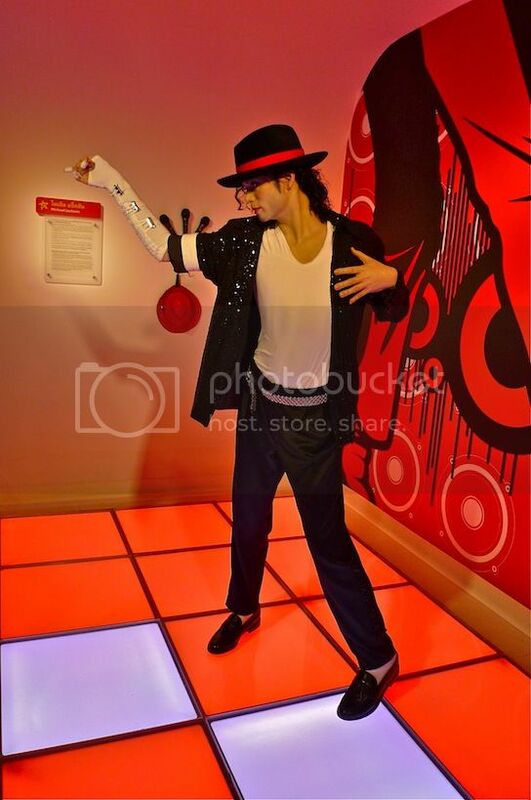 Michael Jackson's wax figure looked stunning. Teresa Teng, still one of the better Chinese singers of all time. Bie The Star is a Thai pop singer and actor. 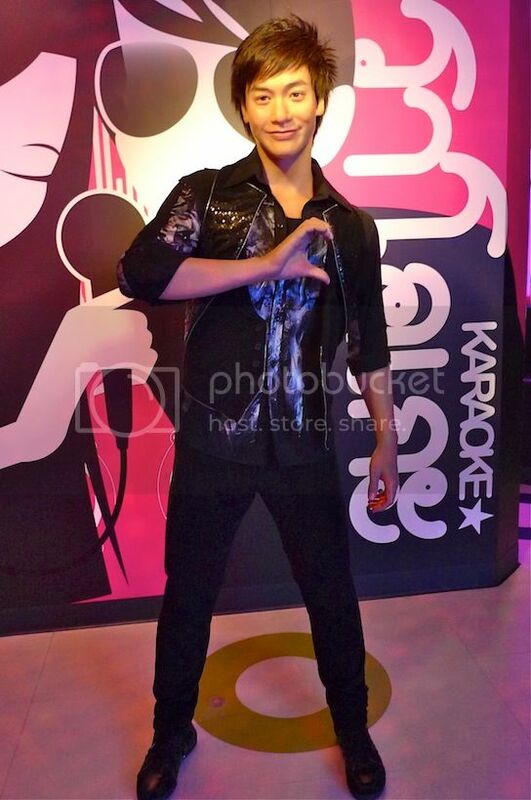 After winning first runner-up in the Thai talent contest The Star, his popularity rocketed. Incredibly, after just two years in show business, Bie was ranked one of the most influential people in Thailand!